A lot of times when looking over travel nursing assignments we tend to think Hawaii!! California!! Florida!! While there are many great assignments in those locations there are also great travel nursing jobs in places you may never have considered. This came to mind last week as I traveled to the Midwest part of our country. Winfield, Kansas and Wichita, Kansas may never have been on your radar as a place to visit but let me tell you a bit about them. I spent a large part of my youth in Winfield, a town of about 12,000 in Southeast Kansas. If there is a friendlier place on earth I don’t know where it is. The people there embody the solid Midwestern ethic that a lot of people associate with that part of the country. They really do have ice cream socials at the churches, (there was one last Sunday at Holy Name Catholic Church). It seems like everyone in town knows everyone else. Sometimes that’s great sometimes not, lol. Too many people think Kansas is “The Wizard of Oz” farm that Dorothy grew up on. The reality is that the county surrounding Winfield is gently rolling land with lots of trees and yes, farm after farm growing wheat and milking cows. In a word? Beautiful. Inside the town you find street after street of wooden houses with big front porches and big back yards. Island Park sits like a crown jewel on the North end of town. Surrounded by water the park has ducks walking around the grounds firm in the knowledge that they are in charge and you are there to feed them. Families wile away the day fishing in the surrounding lagoon whileother families and groups BBQ in the pavilions. It is truly a snapshot of my youth unchanged from 50 years ago. I was awash in nostalgia. It was a great place to grow up and I suspect it still is. It would be a wonderful place to do a travel nursing assignment! Fifty miles to the North is Wichita. It is surrounded by the same rolling farmland but is a “real” city with freeways and professional baseball teams and all that goes along with being a modern city of 350,000. I’ll talk about it more later. There are lots of travel nursing jobs here and I personally think any travel assignment in Wichita or any of the small surrounding communities would be a wonderful place to sample the Heartland of America. Give it thought! 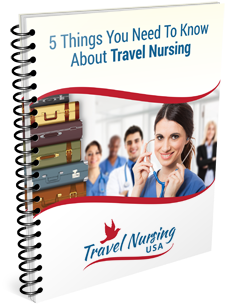 For more information on travel nursing take a look here.